It was with great pleasure that I received the phone call from the PPA – Professional Photographers of America’s office informing me that I had done especially well on my international entry. Apparently I did not only win a loan collection but also was internationally nominated for Commercial Photographer in Architecture. 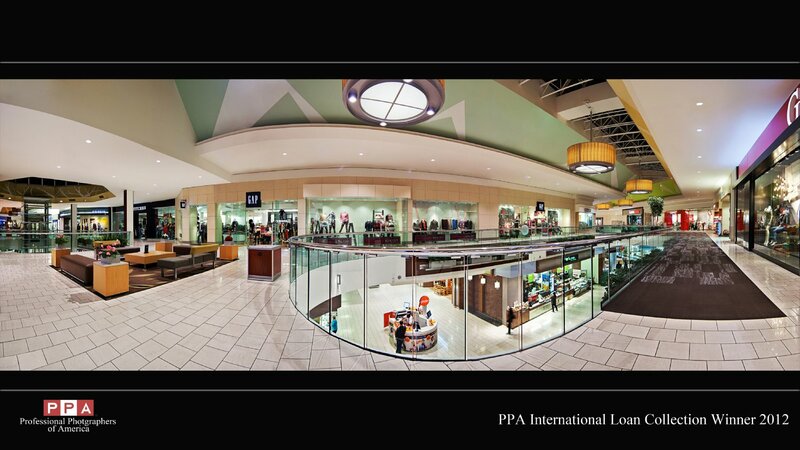 The image entered was of Chinook Center Mall (located in Calgary AB) which was just newly renovated. My assignment was to capture the South Center Renovation for the Construction Management Company - PCL Construction Management. The architects on this renovation were Gibbs Gage Architects. Capturing this project took me a total of 5 nights and early mornings to complete and collect a set of images that would speak of the detail and craftsmanship of both the architects and construction company. When I was done capturing South Center, I wanted to also capture an artistic piece that would be different yet still speak of what I saw in the building. This is the piece that made the loan collection and awarded me the nomination for International Commercial Photographer in Architecture. I have also included more of my favorites of South Center Mall.